Are you passionate about supporting children, families and schools? Do you love working with a team of fun and innovative occupational therapists? If you enjoy providing services in the community rather than in a clinic, this is the role for you! 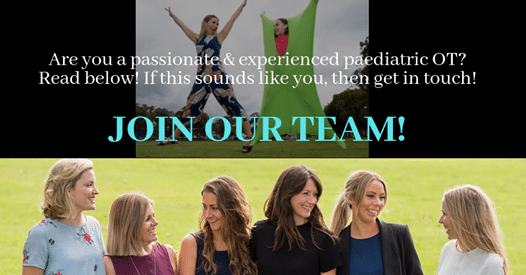 Empowered Kids is a growing team of mobile paediatric occupational therapists providing services in the beautiful Northern NSW and Gold Coast region, and we’re looking for another amazing therapist to join us! We work closely with families, schools and other health professionals to support and empower children to reach their full potential. We believe that working together as a team sets a strong platform for a child’s success. We encourage all our therapists to pursue their area of interest within the paediatric occupational therapy field, and foster personal and professional growth within our highly valued team. An opportunity to work with a close knit and supportive team that is like no other, in a beautiful region! A fun and positive outlook on life is a must! Our office is located in Tweed Heads, minutes from Coolangatta beach! This is your opportunity to join a close knit team of paediatric occupational therapists who work together to provide the highest quality services to our families and schools. If you are passionate, creative, dynamic, and proactive, then we are looking for you – apply now!